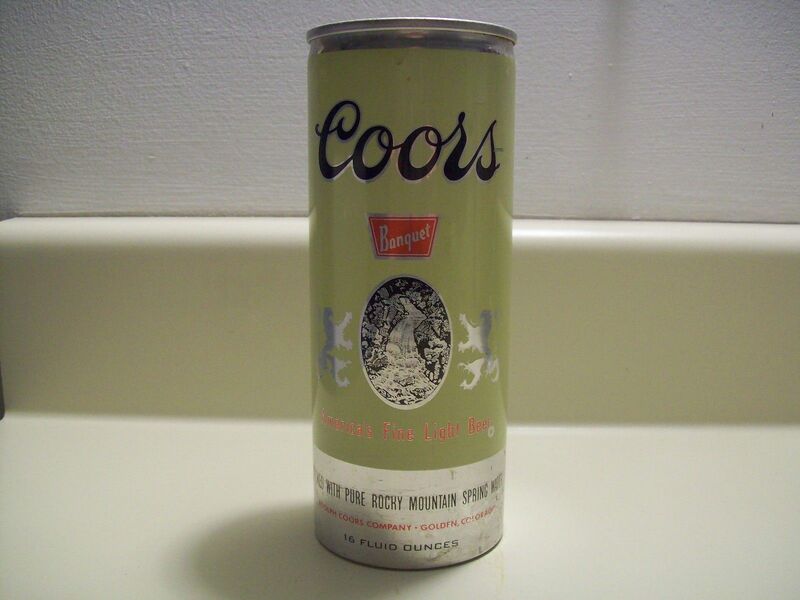 Still, the mystique remained and one spring in the early 80s, word started to ricochet around school that this fabled entity the Coors Brewing Company of Golden, Colorado was planning to expand their distribution as far east as Ohio. That the timing for this historic event would roughly coincide with the end of the school year was a sign that God himself most certainly had a soft spot in His infinite heart for teenagers with drinking problems. Yes, this was going to be THE summer of Coors! No “official” date for the beer’s arrival was ever really announced, so we spent a lot of time sticking our noses into various outlets trying to track down the stuff on a daily basis. And then one day in mid-June, at one of the larger beer and wine outlets, it was there. Since it was about 11 a.m. or so, the man working there had no problem convincing us that the case we were purchasing was the first one he had sold. Ever. So now, not only did we have the contents of these lovely flaxen-hued aluminum vessels to consume, we were also in the history books. The very first ever in Ohio to buy Coors! That is the kind of record that by its very nature can never be broken or taken away and I still mention it to this day to HR personnel and prospective in-laws at the earliest opportunity I can manage. The taste–well, to our virgin tongues it was delicious, fresh, pure, airy, refreshing, dizzying, crisp–the plaudits fell from our mouths like the silver waterfall on the front of the can, and bear in mind, Coors hadn’t even begun advertising the stuff yet, so it wasn’t like we had already been hypnotized by their high-powered marketing men. It was all in our own minds. Again, the power of myth. So, it wasn’t exactly Trappistes Rochefort 10 Blue Cap, but it was a damn sight better than Busch.